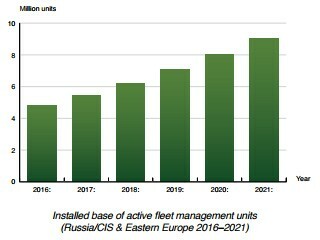 According to a new research report from the M2M/IoT analyst firm Berg Insight, the number of active fleet management systems deployed in commercial vehicle fleets in Russia/CIS and Eastern Europe was 4.8 million in Q4-2016. Growing at a compound annual growth rate (CAGR) of 13.5 percent, this number is expected to reach 9.1 million by 2021. The Russian market alone accounts for a significant share of the region’s total installed base and is forecasted to grow from 2.1 million active units at the end of 2016 to 3.5 million units by 2021. 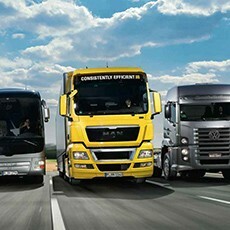 The top-15 providers of fleet management solutions for commercial vehicles across Russia, the rest of the CIS and Eastern Europe together have a combined installed base of over 2.6 million active units in the region and around half of the market is even represented by the top-10 players. The leading fleet management solution providers in terms of installed base in the CIS and Eastern Europe include diverse players from a number of countries. He adds that Gurtam is focused on software, providing a hardware-agnostic tracking platform offering compatibility with over 1,300 different device models from hundreds of third-party hardware manufacturers.